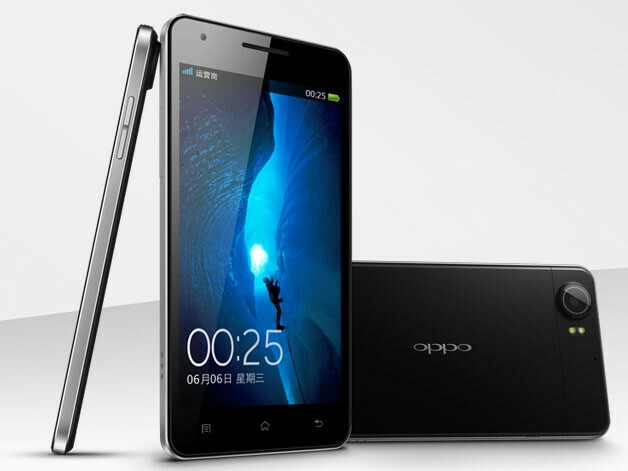 Not-so-popular Chinese phone manufacturer Oppo recently released what is the world's thinnest smartphone, called Oppo Finder. 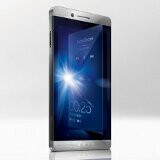 It's a stylish, 6.65mm thin handset, with a 4.3" Super AMOLED Plus screen, dual-core 1.5 GHz CPU, 1 GB RAM and Android 4 ICS. Sounds like a pretty good package? Wait until you hear that it's sold for about $400 off-contract, which beats pretty much every other top-shelf Android smartphone. The bad news is that the Oppo Finder is currently available only in China, which might explain why most of you (and us) haven't heard of it. But back to the news at hand. Word is that Oppo, the phones of which are characterized by their stylish and good-looking designs, has been selected by Microsoft as a new Windows Phone 8 manufacturer. According to the rumors, Redmond has chosen Oppo because of its quality hardware designs, and relative unwillingness to mess with software. That's mostly fine by our standards, but the bad thing is that the company isn't expected to announce something prior to next year. When it does, however, we hope that its product will come to international and U.S. markets as well, and not just China. will they still be making android phones ? I guess this will be a great Oppo'tunity for Microsoft (to keep making phones that no one will buy). I don't know, this kinda reminds me of early Android. When Apple was at it's peak & Android was starting out many people where saying the same you are saying right now about Microsoft. I really think Windows Phone 8 has a chance. Microsoft has pockets to do it. They already have the TOP Android OEM's making WP8 devices so that has to say something. No one was a bigger fan of Microsoft thaNi, iUsed Windows Mobile from 2002 to June 4, 2010 (when I bought my EVOOOO), but, Microsoft only succeeded in devolution and not evolution. I have since checked out Windows Mobile 6.5, 7.0, 7.1, 7.5, respectively, it's all the same Microsoft limiting crap. For God's sake man, you don't even have Front Facing Cameras on HD2's or HD7's!! What about those Nokia Lumias? And, my favorite, Hotmail Messenger should be available for Windows Mobile with Front Facing Video Chat!! Well. I hope they get their act together. As far as mOi, they've lost my interest as a consumer first and as a techie' second! What WP lacks is the innovaton spirit of Android. iOS used to have that but they are now concentrated in stopping others from doing it. I hear you, I really do. I think Microsoft's model now is to catch up features wise then innovate. Microsoft has a huge advantage no one else has. They can integrate both the PC & video game worlds with their WP8. I wouldn't say Microsoft isn't innovating just yet. This could be a great chance for Microsoft to grab some ground in China, if oppo has a decent sized fan base who love thier designs, maybe they can snag a good chunk of buyers based on hardware design. I dont know about anyone else but that phone looks gorgeous!! Hmm Microsoft's windows on all device's plan is rolling out folks and will be a success to some degree. The way Metro tiles can now be downsized on the screen makes the windows "8" smart phones look less blocky in fact you make the screen look cool. Folks Microsoft is now in the smart phone business with a vengeance look for them to Buy "Rim" and Maybe The Nokia Smart phone division if Nokia sales of Windows 8 smart phones do not work out. I think however Nokia will survive and wont be bought out by Microsoft. Microsoft is near the bottom of smart phone sales but Microsoft will not give up and will improve their smart phones that is why they will have good stuff out before the year is out and beyond . They are letting them making Windows Phone 8s? More like begging, Microsoft is having a hard time getting OEMs on board.